Financing dreams with clever finance solutions. We don’t believe in ‘one size fits all’ finance. We provide a personalised service for all of our valued clients. Our service is complimentary as your lender pays us! Forget shopping around to multiple banks to compare your options for a mortgage. Using our industry knowledge and connections, we will source and negotiate the best deal for you. Our complimentary finance loan assistance can save you thousands of dollars in interest and fees. With access to market leading comparison software and a network of lender contacts, we’ll find the most cost-effective deal to suit your individual needs. With a mortgage being your biggest ever liability, you need expert advice to make sure you make the correct decisions. We’ll work with you throughout the life of your loan to ensure you are working towards your goals. With technical knowledge to advise on all aspects of finance we will get to know your individual circumstances inside and out. We will then provide you with professional advice tailored to your lending requirements. We assist you throughout the loan application process – from lodging your application to assisting signing of the paperwork. Why should I use Empowered Finance? Looking for the best finance broker in Perth? At Empowered Finance, we take the stress out of getting the finance you need. Offering a flexible mobile service we’re able to meet in our centrally located office in Subiaco, or at your preferred destination – this could be your office, home or even a local cafe. With appointments available after hours and during weekends, we’re always there when you need us. As we are paid commission by the lenders, we do not charge you a fee for our services. Offering a complimentary service we help you find the loan that’s right for you, and help save you money too. Whether you beginning your home ownership journey, consolidating your existing debts, or investing in your future, we assist you with access to the finance you need to fulfil your dreams. When it comes to the best mortgage broker to invest your future with, trust is more important than brand name. Big banks only have their own products to sell which may not necessarily be the best solution for you. But guess what? They aren’t going tell you about more suitable products at their competitor – we will! As a top mortgage broker, we make the process of obtaining finance as pain free as possible. 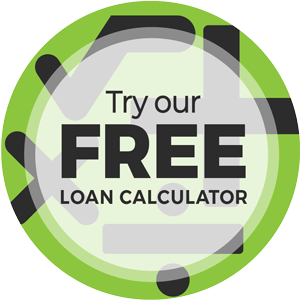 With our market leading comparison software and industry leading knowledge, we’ll help you find the loan that’s right for you. Own the home you want. Grow the business you want. If you don’t have access to the funds you need, don’t defer your dreams, we will find the loan that’s right for you.